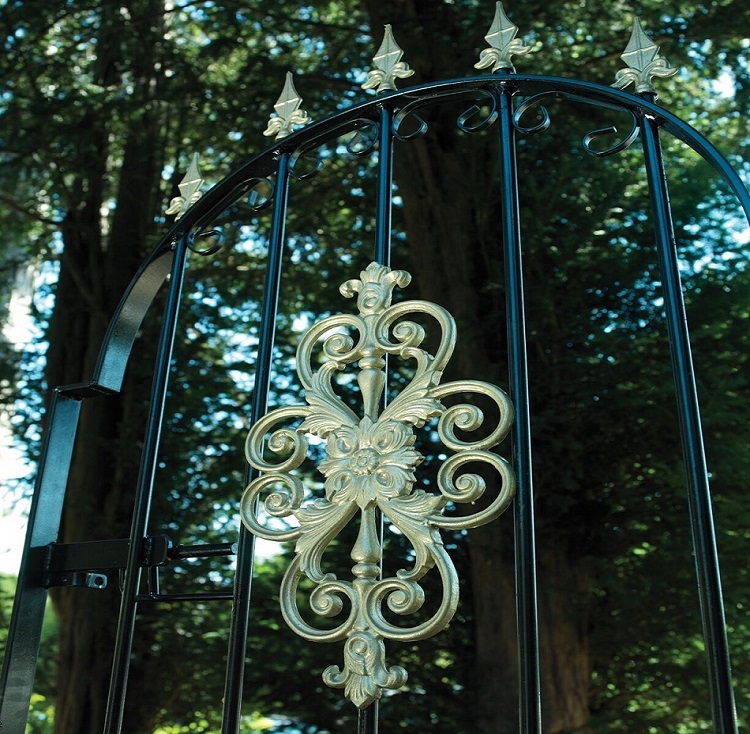 Exposed to the elements year round, metal gates will encounter virtually every type of weather imaginable and as a result needs to be durable and well made to ensure it is capable of withstanding the test of time. However, if left in a unpainted condition, over time the elements will start to rust the steel therefore reducing is capabilities and detracting from the look of your property. 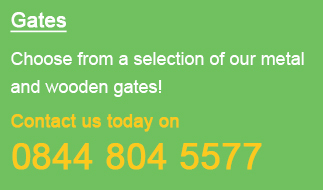 The team at Garden Gates Direct therefore reccomend that when looking to prolong the life expectancy of the product, make sure you take account of the maintenance advice detailed below. 1. Carefully remove the existing gate from the hinges using the appropriate tools. Ensure you make a note of what fixings go where to avoid any confusion when re-hanging it. 2. With a stiff wire brush, go over the entire surface of the metal to remove as much flaking paint, dirt and debris as possible as this will make sanding the surface far easier. 3. Using a rough sandpaper or abrasive, rub down all the surfaces to provide a good key for the fresh coat of paint. At this stage, should any rust be present, apply a coat of rust treatment to kill it off and prevent the problem reoccurring in the future. 4. Once you are happy with the surface, use a cloth and some white spirit on the surface of the metal to help remove any traces of dust and debris. Taking your time at this stage will ensure a professional quality finish once the job is complete. 5. Using the appropriate type of paint, apply an even coat over the entire surface ensuring all areas are covered (including the intricate decorative scrollwork). 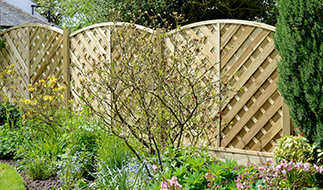 Do not be tempted to apply the paint too thick as this will result in runs that will be clearly visible for all to see once the gates are re-fitted. 6. Once you are happy with the coverage, set the gate aside and allow the paint to dry. Please note this time period will vary depending upon the particular make of paint and the weather conditions present at the time of completing the task. 7. When the first coat of paint has fully dried, you can now apply a further coat of paint in the same manner. Remember this will be the top coat so ensure that any brush marks are kept to a minimum as they will be seen by all once dried. 8. Set the gate aside again and allow it to dry. 9. Once fully dry, simply re-hang and the job is completed. No further treatment should be required for another few years and if done correctly the metal should come up looking like new. 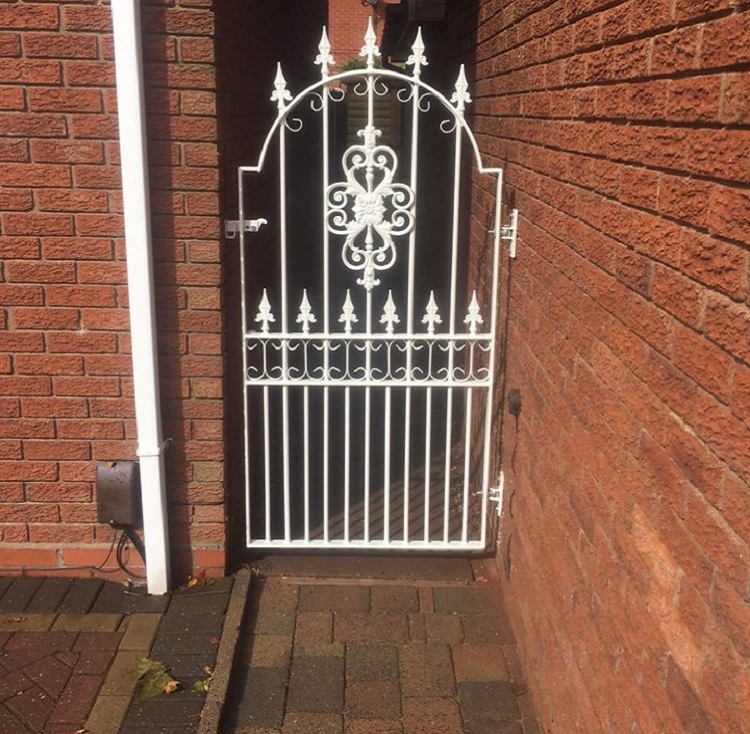 So there you have it, the easiest and most simple way to prolong the life of metal garden gates, side gates and double driveway gates is to paint them once in a while.